Year 10 is a crucial crossroads in your child’s education, indeed in their life. We consider every child in Year 10 and assess whether the choices they have made are the right choices for them by looking closely at their particular strengths. With our guidance we help your child choose the right path and that means choosing courses most likely to lead to success and achievement. Our approach ensures that your child will build on their own personal strengths and talents. One of the pathways available at Key Stage 4 allows our pupils to combine occupational and academic subjects. Too often children are forced to choose one or the other. At Lisneal, children can optimize both interests and abilities choosing subjects like cookery or carpentry alongside more traditional subjects like History or English Literature. We offer a wide range of subject combinations so every child gets to play to his or her strengths. 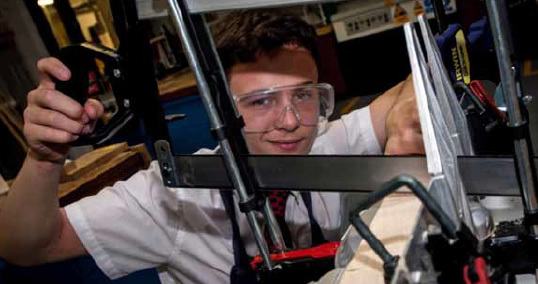 In years 11 and 12 pupils follow a core of subjects and have a number of choices to make. Pupils have over 30 subjects to choose from and we ensure that they are given advice and assistance in making sure they choose the courses that are best for them.